This entry was posted in Desserts, Recipes and tagged Cake, Food Stylist, lebanese food blogger, lemon cake, Maya Oryan, white chocolate cake by Maya Oryan. Bookmark the permalink. this cake looks extraordinarily light and delicious! Stunning photo! This cake looks like it’s delicious! 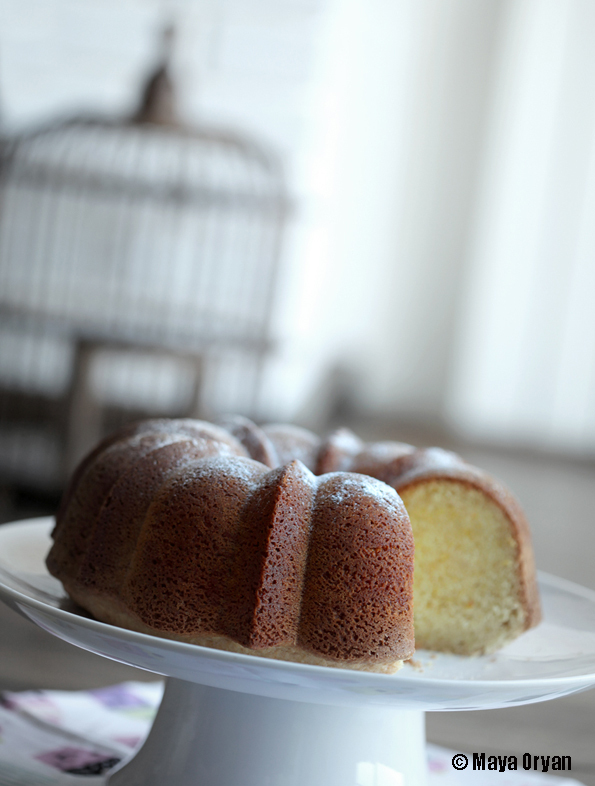 Just yesterday I baked with my little guy a bundt lemon cake, I’ve been following the same recipe for years, never fails, it’s very similar to yours but without the added chocolate and limoncello! Those additions are genius, will definitely try your version! you shout for a baking pan??? well, I did it for less: my husband came from Paris and brought me magazines. Cuisine actuelle, Maxi cuisine and Cuisine et vins…………… i was delighted!! And about your recipe, I’ve got one similar but i put 1 cup of lemon juice instead of limoncello and milk, and there is no chocolate in it. I also tried same recipe without the chocolate and used lemon juice instead of Limoncello, the taste was more sour than the above recipe. I guess for those who love a strong sour taste lemon juice is a good alternative! Thank you Hala, luv u too!! I too would be delighted by fabulous new bake ware from my sweetie, ha ha. Je n’ai pas de limoncello , avez vous une idee pour le remplacer ?